Can Obama's CO2 reductions set pace at Paris world Climate Congress? Can Obama’s CO2 reductions set pace at Paris world Climate Congress? 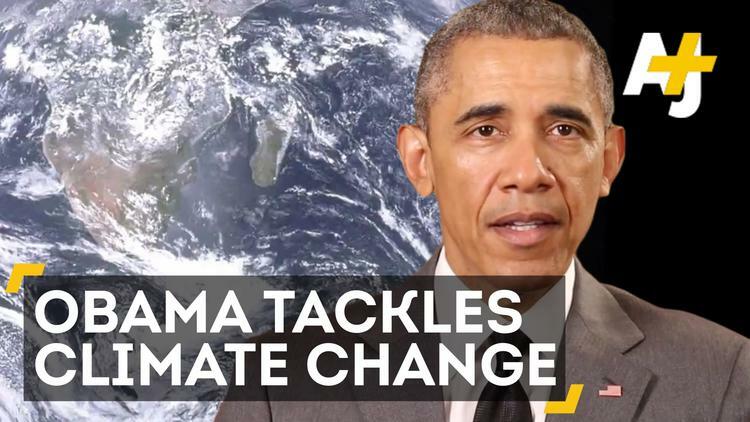 UNITED NATIONS (IPS) – This week, U.S. President Barack Obama formally unveiled the details of his Clean Power Plan (CPP), a comprehensive carbon-cutting strategy he described as “the biggest and most important step…ever taken to combat climate change” in a prior video address posted on Facebook. As set down in the final rule from Aug. 3 by the U.S. Environmental Protection Agency (EPA), the CPP requires power plant owners to reduce their CO2 emissions by 32 percent from 2005 levels by 2030. Between 2005 and 2013, carbon dioxide emissions have fallen by 15 percent, meaning the U.S. is about halfway to the target. States are allowed to create their own plans on reducing greenhouse gas (GHG) emissions from existing fossil fuel-fired electric generating units (EGUs). Initial versions of these plans will have to be submitted by 2016, final versions by 2018. The U.S. is the world’s biggest CO2 emitter after China. Yet, the praise given to Obama for his efforts in cutting CO2 emissions seems to suggest a shift in the perception of the U.S. as one of the largest climate offenders to a model and leader in combating climate change. The announcement of the plan follows a series of recent diplomatic achievements by the U.S. government such as the Iranian nuclear deal and the normalisation of diplomatic relations with Cuba. Many observers attribute these significant moves by the U.S. president shortly ahead of the end of his presidency to his endeavors in building a legacy on the foreign policy front. The CPP could prove to be the green legacy of Obama’s presidency. Sara Chieffo, Senior Vice President of Government Affairs at the League of Conservation Voters (LCV), told IPS: “This historic plan puts in place the first-ever national limits on carbon pollution from power plants – the nation’s single largest source of the pollution fueling climate change. “When taken together with other major advancements by the Obama Administration, like increasing fuel efficiency standards for vehicles and investments in renewable energy, the Clean Power Plan represents a significant reduction in carbon pollution by 2030, as well as a boon to public health. However, as for the Iran nuclear deal and the agreement with Cuba, Obama’s success in implementing the CPP and the legacy built upon it will be largely dependent on Congress and the courts. Following widespread criticism, the CPP underwent various modifications until the final rule was published on Monday. Compared to former versions, the final rule is now focusing much more on fossil fuel-fired power plants as CO2 emitters and less on states achieving their targets, as explained by Jody Freeman in an article for Politico. Prior to the announcement of the Clean Power Plan, legal discussions have centered on another EPA regulation already in place since 2011, the mercury and air toxic standards (MATS) meant to limit hazardous air pollutant emissions from fuel-fired power plants. In a June 29 ruling on Michigan vs. EPA, the U.S. Supreme Court blocked the EPA regulation with a 5-4 majority, stating the EPA did not properly consider the costs of the regulation as required by the Clean Air Act. The Supreme Court remanded the case to the D.C. Circuit for further consultations and proceedings consistent with the Court’s opinion. The 2011 initiative by EPA to regulate emissions of toxic air pollutants has been challenged by industry groups and about 20 states. Although the Supreme Court decision can be seen as a major setback for the EPA and its environmental initiative, it also facilitates the Clean Power Plan by preventing the existence of a double-regulation, “[o]ne of the challengers’ primary legal arguments against the Plan”, as pointed out by Brian Potts and Abigail Barnes in a recent Forbes article. Indeed, there is optimism that the Clean Power Plan in its final version will be able to stand firm in the face of the lawsuits expected to be brought against it. Sara Chieffo told IPS, “With a coalition of public health officials, faith leaders, businesses, and the millions of concerned citizens from across the country calling for climate action, the only ones challenging the Clean Power Plan are big polluters and their allies in Congress and state legislatures. “These polluters are resorting to the same dirty and desperate playbook of doomsday predictions they have used since President Nixon first signed the Clean Air Act in 1970. But time and again, history has proven that cleaning up our air is good for our health and our economy. “We are confident that elected officials across the country are going to side with their constituents’ overwhelming support for climate action, instead of polluters who are putting their profits ahead of our health,” she added. The announcement of Obama’s Clean Power Plan comes a few months ahead of the much anticipated Climate Conference (COP21) in Paris. As stated by Stéphane Dujarric, Spokesperson of U.N. Secretary-General Ban Ki Moon, the U.S. government’s initiative will play a vital role in turning the Conference in Paris into a success. “President Obama’s leadership by example is essential for bringing other key countries on board and securing a universal, durable and meaningful agreement in Paris in December,” he said.